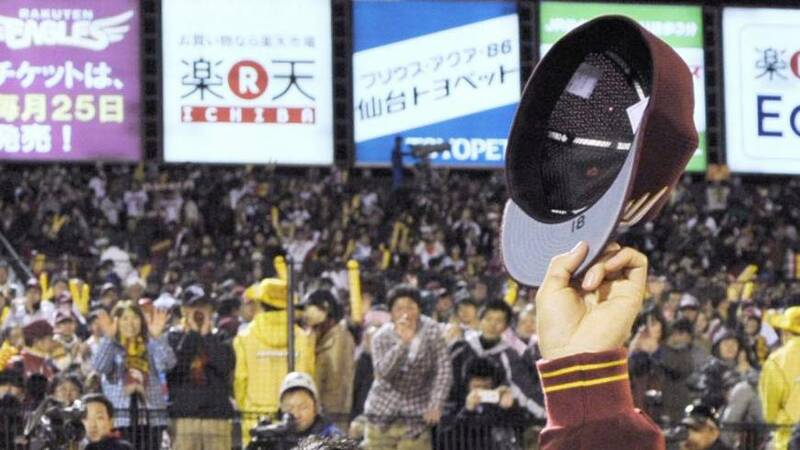 Masahiro Tanaka followed up an amazing career first with something even more impressive the second time around. 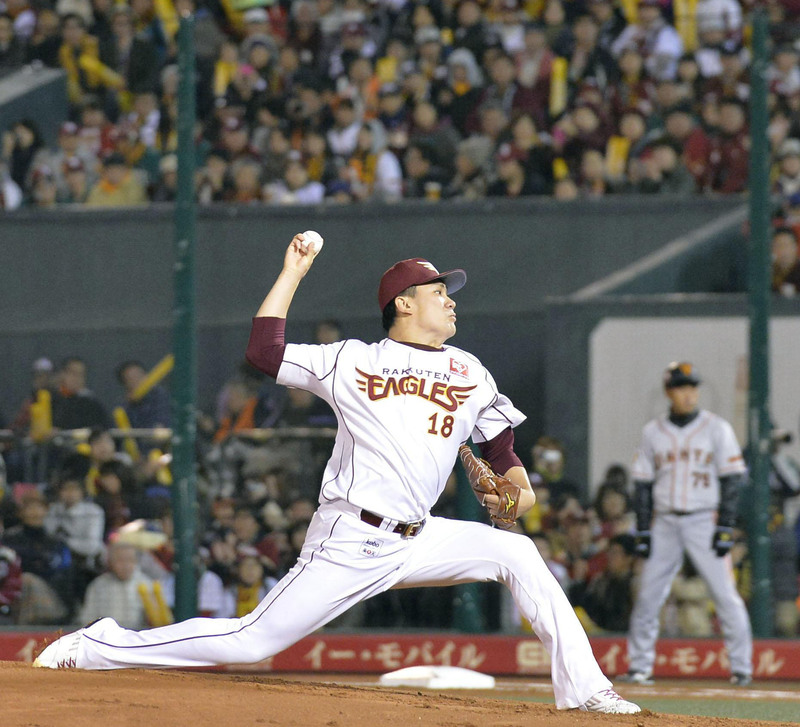 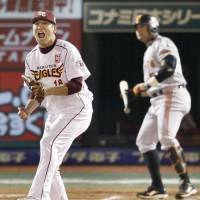 Less than 24 hours after striking out 12 during a complete-game victory in his Japan Series debut, the Tohoku Rakuten Golden Eagles ace was named the Sawamura Award winner for the second time. 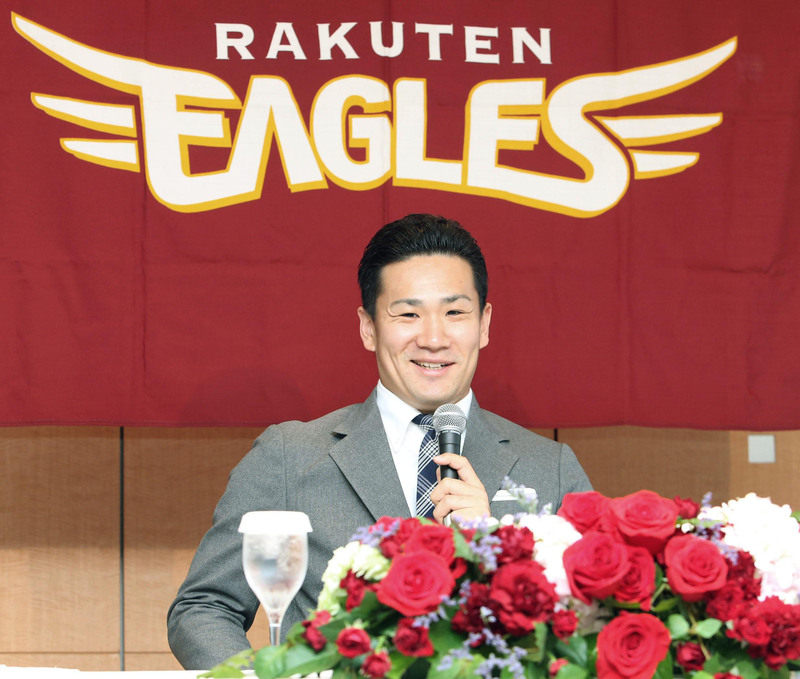 Tanaka was selected by retired pitchers Masaji Hiramatsu, Choji Murata and Kimiyasu Kudo, members of the five-man selection panel during a meeting at a Tokyo hotel on Monday. 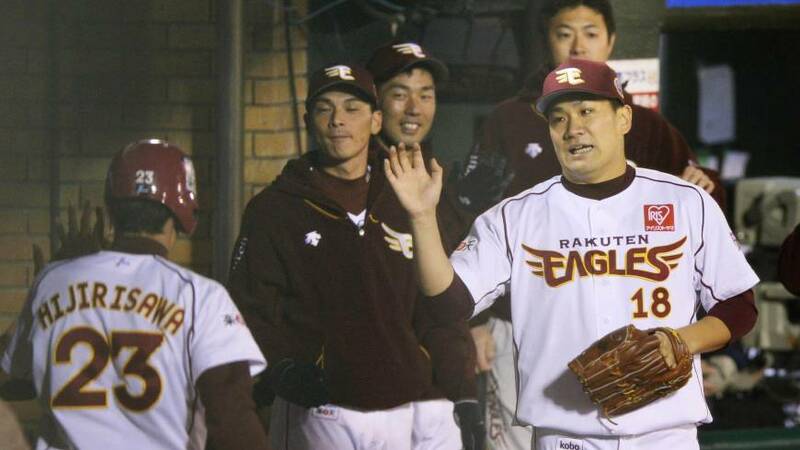 Chairman Tsuneo Horiuchi and Manabu Kitabeppu were absent. 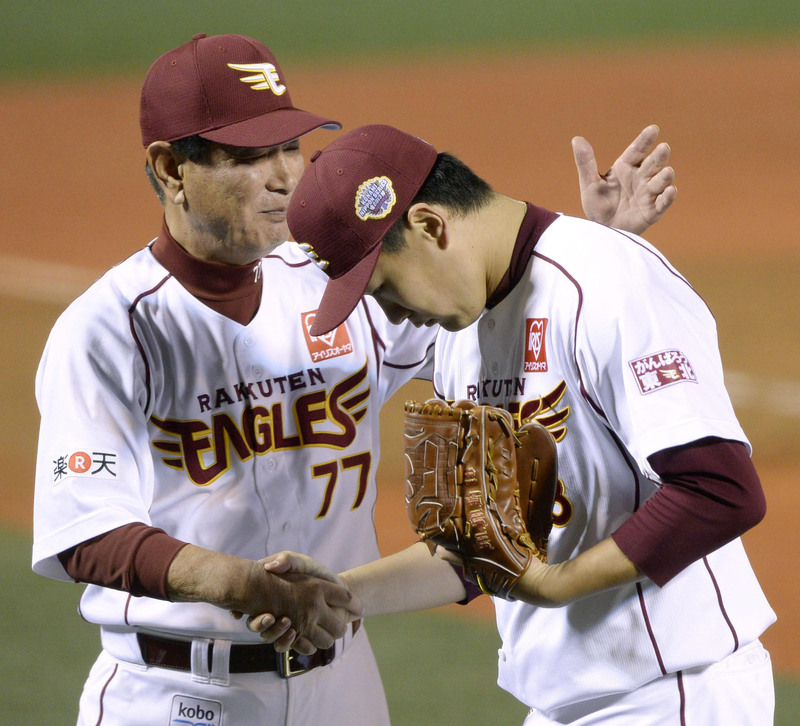 “I remember we had a heated discussion last year, but (this year) we came to the decision with fewer arguments and there were no others who came up so we chose Masahiro Tanaka,” said Hiramatsu, who won the award in 1970. 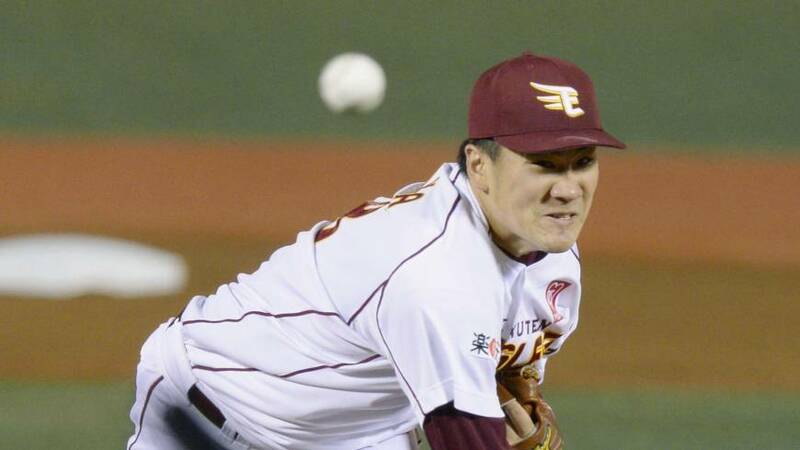 Tanaka put together a historic season in 2013, meeting all but one of the seven criteria (15 or more wins; 150 or more strikeouts; at least 10 complete games; an ERA under 2.50; at least 200 innings pitched; 25 or more games started; and a winning percentage greater than .600), by which winners are judged. 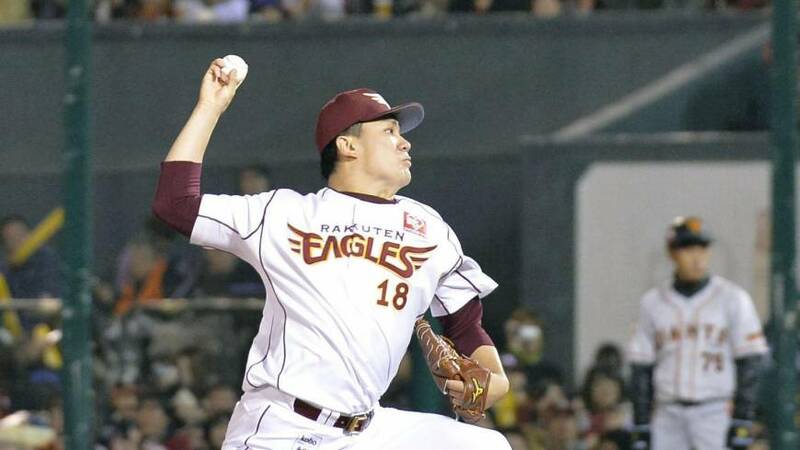 “Ma-kun” finished the season 24-0, with a save, 183 strikeouts and eight complete games. 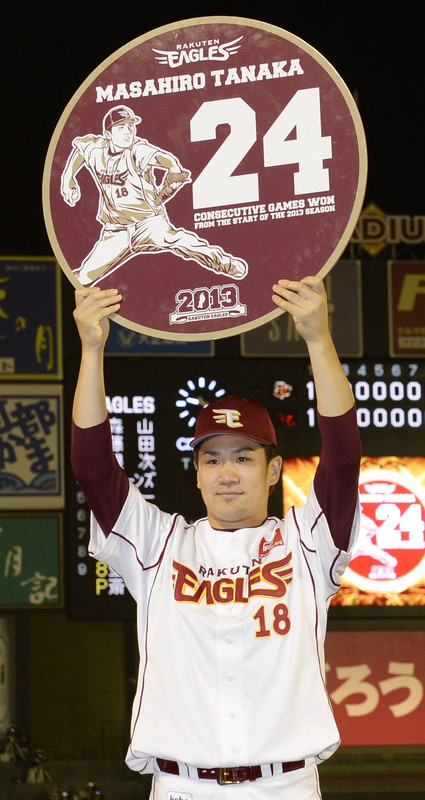 He posted a 1.27 ERA over 212 innings in 28 starts and, of course, had a perfect 1.000 winning percentage. 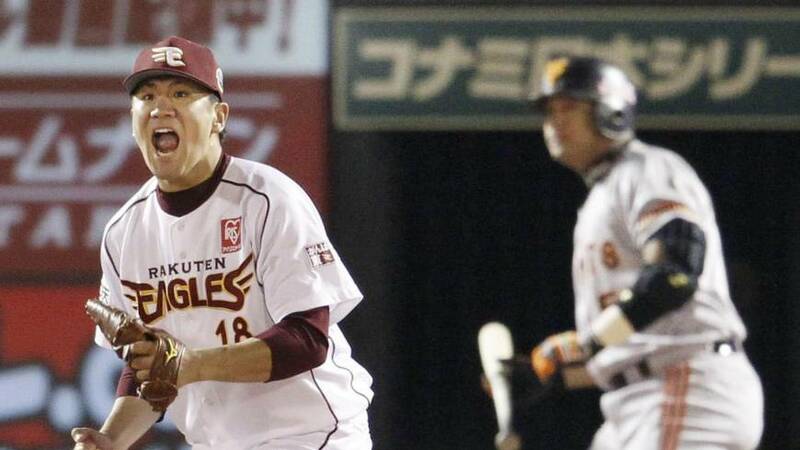 Tanaka gave up just six home runs during the season and finished with a 0.94 WHIP. 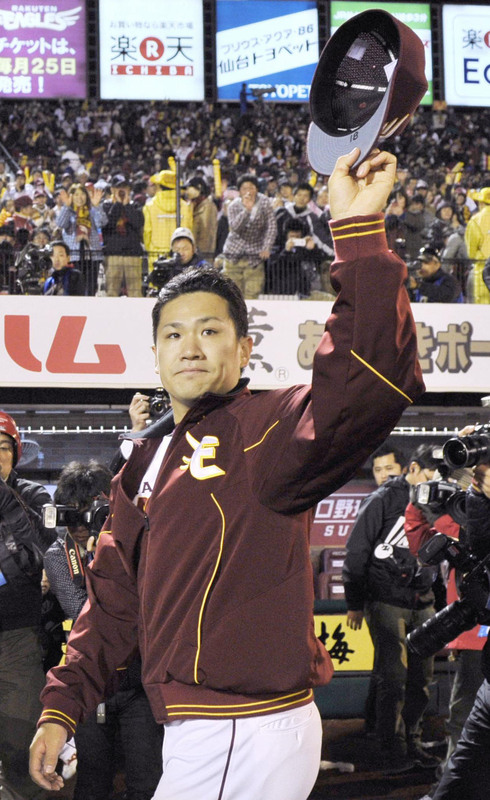 Tanaka won his first Sawamura Award in 2011. 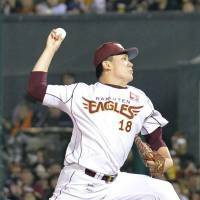 His only real competition was Orix Buffaloes right-hander Chihiro Kaneko, who met all seven criteria. 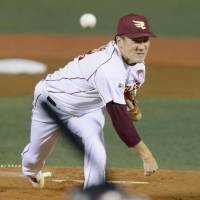 Kaneko was 15-8, struck out 200, threw 10 complete games, and had a 2.01 ERA in 223⅓ innings. 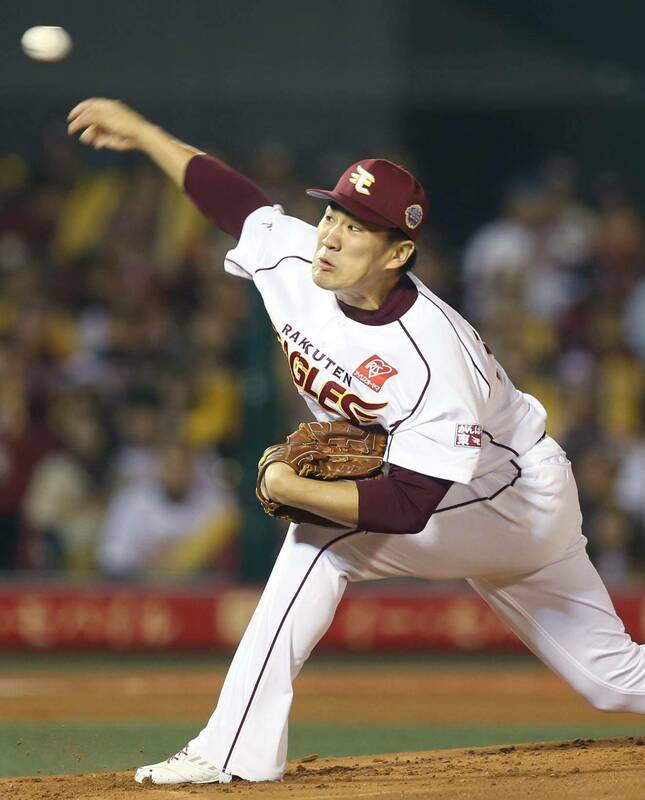 He made 29 starts and finished with a winning percentage of .652. 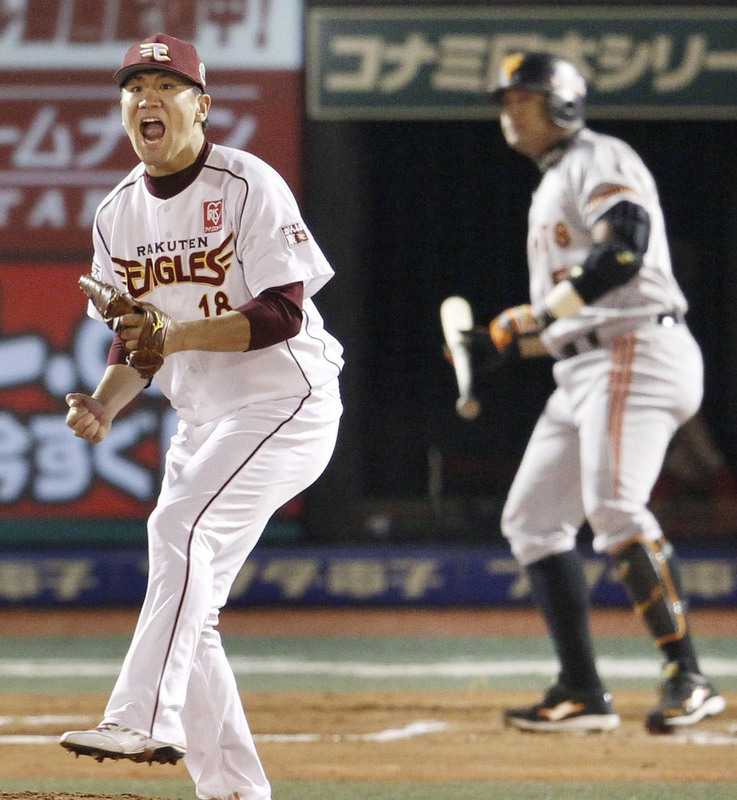 Kaneko was plagued with poor run support throughout the year, which may have been one of the deciding factors between the two. 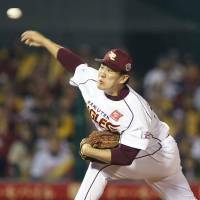 Since 1982, only 10 pitchers have managed to meet all seven criteria in a single season, with Yu Darvish doing so twice. 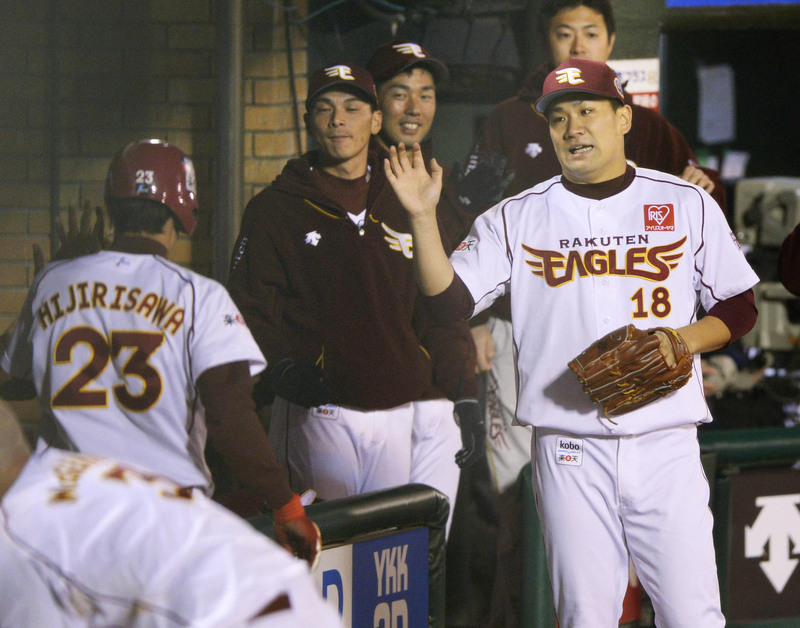 Of those 10, only Suguru Egawa (who lost when Kitabeppu met the criteria in 1982), Darvish (who lost out to 21-game winner Hisashi Iwakuma in 2008) and Kaneko did not win the award. 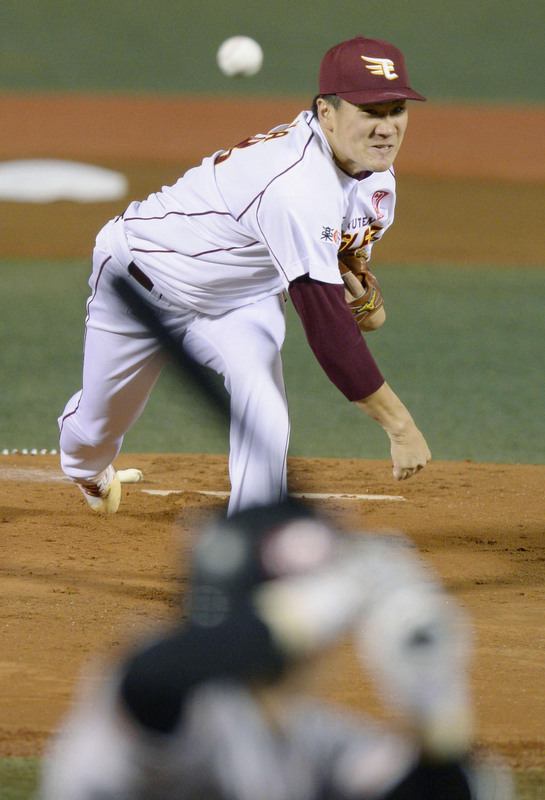 Tanaka has continued to pitch at a high level during the postseason — currently 2-0 with two complete-game victories and a save — confounding hitters with a solid array of pitches, and putting away more than a few with the devastating forkball that was on display in Game 2 of the Japanese Fall Classic on Sunday. 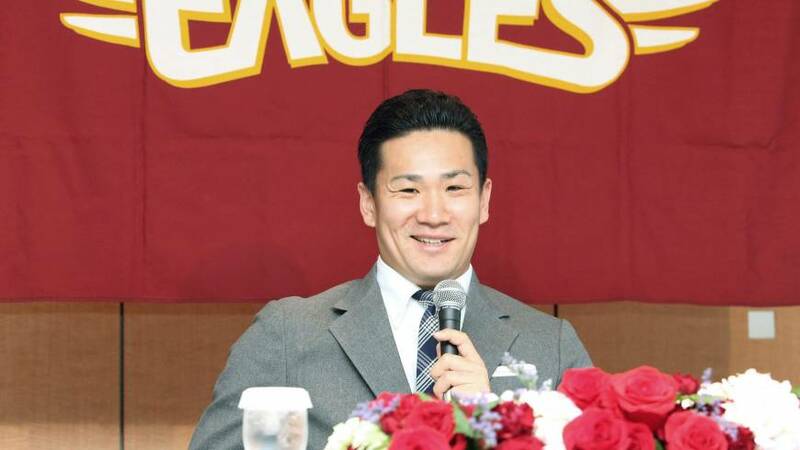 Tanaka will be among the favorites to win his first Pacific League MVP Award later this year, and could still add a Japan Series title to a haul that already includes leading the Eagles to their first PL pennant. 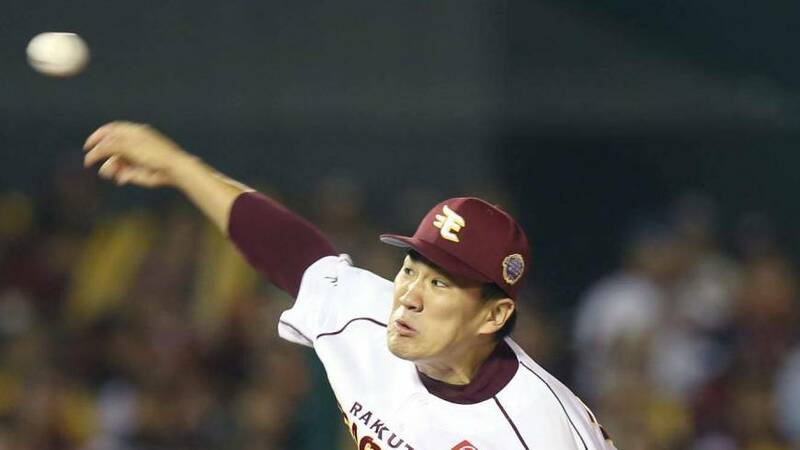 The emotive 25-year-old pitches with his heart on his sleeve and is prone to fist-pumping outbursts in big moments, which delights Rakuten fans and helps get his teammates fired up. 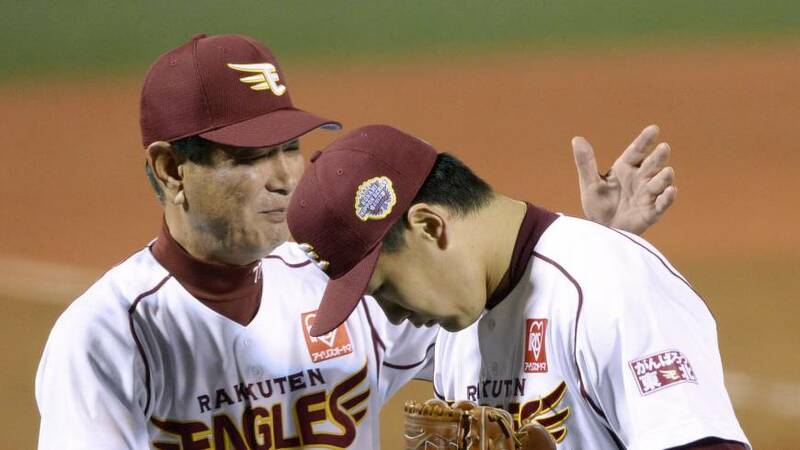 But Kudo, who pitched for 11 Japan Series winners and was a two-time league MVP, applauded Tanaka’s fire.